Bad news for the GOP in November? We’ll see. But that leads to last week’s trivia question: Since World War II, what first term elected president suffered the worst net loss in his party’s House and Senate seats in the midterm election? The previous trivia question was: Who was the last senator to die in office and be replaced by his widow? The answer? Quentin Burdick. 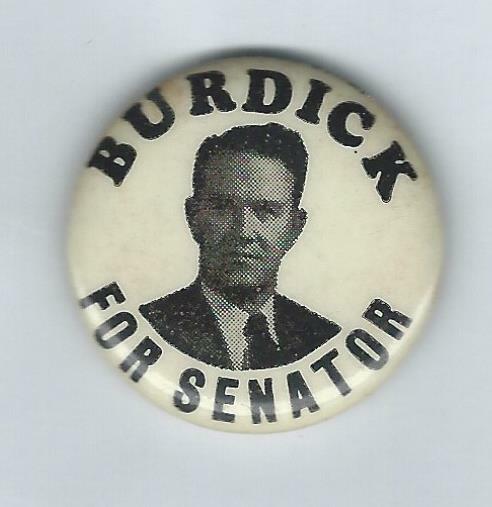 The North Dakota Democrat, in the Senate for 32 years, died on Sept. 8, 1992. Four days later his widow, Jocelyn Burdick, was appointed to fill his seat by Governor George Sinner. For all those people who guessed Mel Carnahan — he never died in office. He actually died several weeks BEFORE the election, which he unexpectedly won, posthumously. His widow, Jean Carnahan, was appointed to fill the vacancy. But he was never a senator. And so, the randomly selected winner is Oliver Character of Gaithersburg, Md. Oliver wins the coveted Political Junkie button.